Mariah Carey high successful female artist of all time. With album sales of 220 million albums and her songs was ranked # 1 in Billboard Hot 100 for 18 weeks, including Fantasy, Always be my baby, Hero, Touch my body, One Sweet Day and We belong together. Since the introduction of the album Me.I Am Mariah … The Elusive Chanteuse to the perception of listeners around the world, Mariah Carey was time to bring her back concerts with music fans around the world with the Elusive Chanteuse Show, which marks the return. the stage in one of her World Tour. 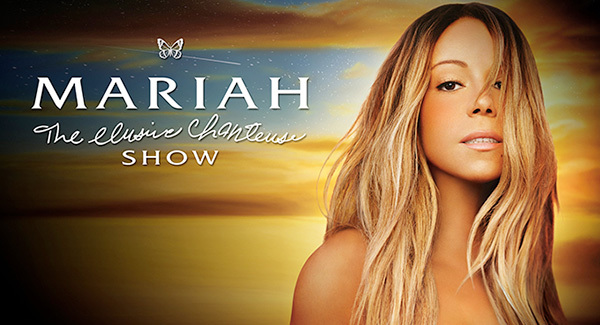 Since the concert in 2006, The Adventures of Mimi by Mariah Carey is poised to thrill and impress the fans. Her many hits with songs The song was never played on stage before the album Me. I Am Mariah … The Elusive Chanteuse with.